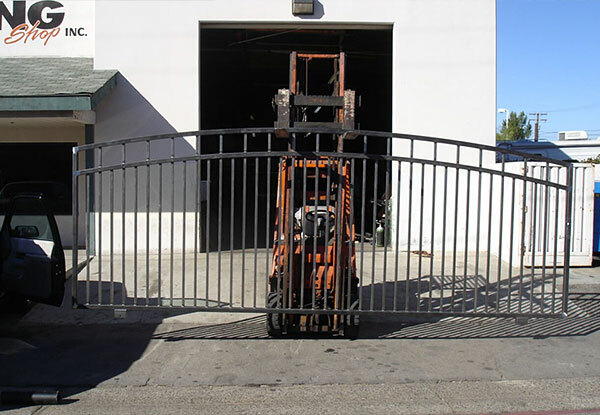 Bob's Welding, Machining & Fabrication has the expertise, experience, and skill to build custom metal gates, fencing, side enclosures, catwalks, handrails, railings, and other architectural elements for contractors, warehouses, property managers, homeowner associations, and homeowners. We have served thousands of clients throughout Orange County, including Anaheim, Fullerton, Tustin, Orange, Brea, Westminster, Santa Ana, and Yorba Linda, since 1936, and has a sterling reputation for quality craftsmanship, exceptional customer service, and superior results. We are AWS certified and licensed and insured. Call today for a free consultation. 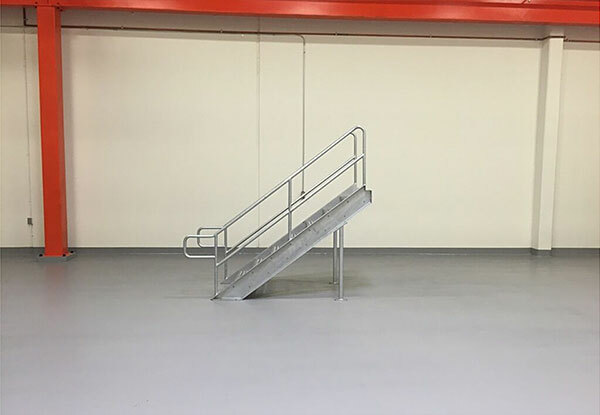 This industrial staircase with handrails was fabricated as an addition to the catwalk for our Fullerton client. We designed the staircase using the same durable hot-dip galvanized steel. 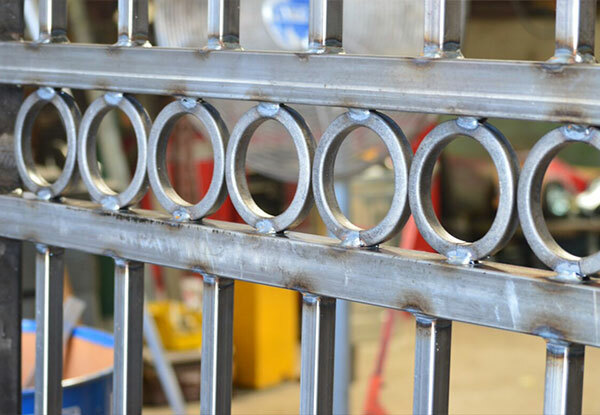 This picture shows a close up of the welding we did for a park gate in Corona. We fabricated the steel gate and incorporated pre-made architectural elements to match the existing gate. Bob’s Welding fabricated these custom catwalks for a Fullerton business. 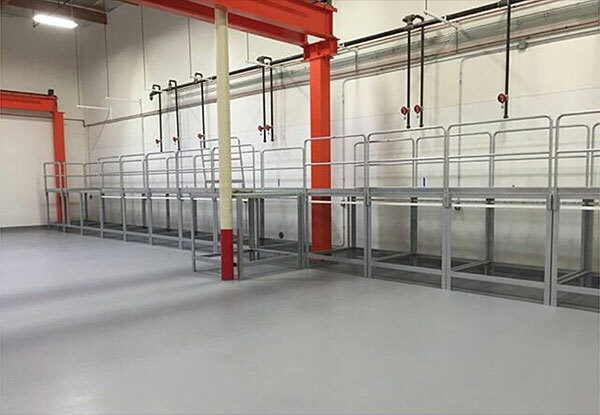 Our client needed custom catwalks to accommodate their new business location and machines. We built these catwalks using durable steel that was hot-dip galvanized to protect it from corrosion. This picture shows us providing mobile welding services for a Long Beach client. Our client was doing a major home renovation and wanted to include a set of industrial looking stairs as a walk up to the second story. We utilized the architect’s design to cut, form, and weld the stairs as specified in the blueprints. 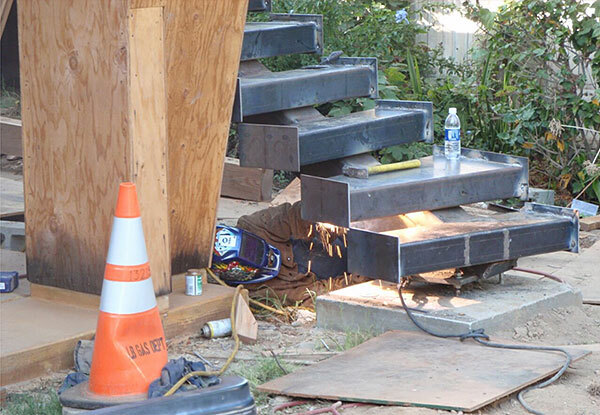 We used A-36 hot rolled steel to build these stairs on location. 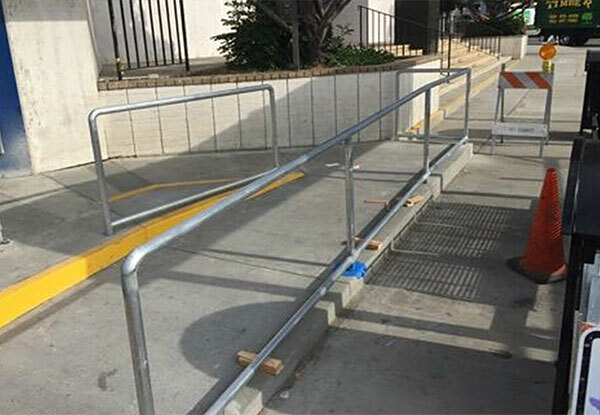 Bob's Welding fabricated and installed this handrail in Whittier. We built the handrail to meet the specifications for the city's upgraded bus stop. We used hot dip galvanized steel pipe to create a durable handrail that could withstand corrosion for years to come. 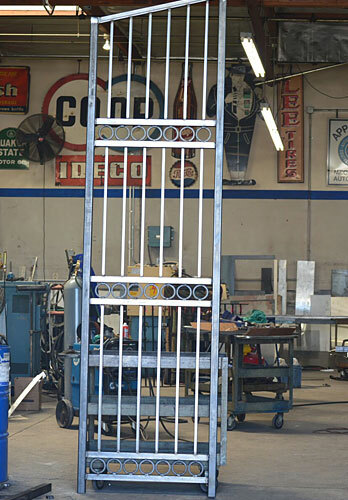 Bob's Welding fabricated this large steel gate for a residential client in Orange County. Steel is a durable and safe material ideal for gates, rails, and stairs for residential, commercial, or industrial purposes. We fabricated and installed this custom railing for a Newport Beach resident. Our client was doing a major home renovation and they needed railing and handrails for their front patio. We worked with our client to incorporate design elements that they desired. The railing is made of durable steel and pre-made architectural elements. We used metalized and powder coated steel tubing to extend the current gate and create fencing at the side of this Laguna Beach home. Our client had show dogs and they needed additional barriers to protect them from the local coyotes. We fabricated and installed the fencing, and created an awning like structure for additional shelter. This steel gate was designed and fabricated as an extension of the current gate system for a public park in Corona. We inspected the site, took measurements, and sourced metal design elements to ensure that the enclosure complimented the current gate. Our steel gate extension was used to secure an area of the park that had an existing opening. As a professional artist, I needed someone who could take my ideas and vision and bring it to fruition. Bryan (the owner) was not only attentive, but gave me a couple of suggestions on how to improve my design. I've had many things welded before at other places, but found his abilities to be of a much higher caliber. Definitely five star . . .